For other uses, see RT. "RTTV" redirects here. It is not to be confused with Russian Television International. "Russia Today" redirects here. It is not to be confused with Rossiya Segodnya or Russian Federation Today. RT launched several new channels in ensuing years: the Arabic language channel Rusiya Al-Yaum in 2007, the Spanish language channel RT Actualidad in 2009, RT America – which focuses on the United States – in 2010, and the RT Documentary channel in 2011. In 2009, Russia Today rebranded itself to simply the "RT" initials. Simonyan denied that the name change was an attempt to hide its Russian origins, stating the corporate logo was changed to attract more viewers and commenting, "who is interested in watching news from Russia all day long?" In November 2012, Israeli Defense Force bombs severely damaged RT's offices in Gaza City, wounding four journalists, during Operation Pillar of Defense. The office was right next to that of the Israeli target, Al-Aqsa TV, a television station that was affiliated with the Palestinian militant group Hamas. In early October 2014, RT announced the launch of a dedicated news channel, RT UK, aimed at British audiences. The new channel began operating on 30 October 2014. In December 2012, RT moved its production studios and headquarters to a new facility in Moscow. The move coincided with RT's upgrade of all of its English-language news programming to high-definition. RT cooperates with a number of media sources in Russia and abroad, including private media like Izvestia, Kommersant, Trud, Nezavisimaya Gazeta, Vedomosti, Argumenty i Fakty and the non-Russian Association for International Broadcasting, Huffington Post and News.com.au. According to RT, the network's feed is carried by 22 satellites and over 230 operators, which provides a distribution reach to about 700 million households in more than 100 countries, and that RT America is available to 85 million households throughout the United States. The sharp decline in the ruble at the end of 2014, forced it to postpone channels in German and French. As well as the news agency Ruptly, RT also operates the following websites: RT на русском (in Russian), RT en français (French), RT Deutsch (German). In 2015 RT's YouTube news channels were: RT (the main channel), RT America, RT Arabic, RT en Español, RT Deutsch, RT French, RT UK, RT на русском and the newly launched RT Chinese. Latin America is the second most significant area of influence for internet RT (rt.com). In 2013, RT ascended to the ranks of the 100 most watched websites in seven Latin American countries. The English language RT International, RT America and RT UK channels carry similar programming, with the latter channels focusing more on news from the United States and the United Kingdom. RT Arabic and Actualidad RT in Spanish feature their own news presenters, as well as translated versions of RT's English programming. In 2017, RT ran a mock live tweeting program under the hashtag "#1917LIVE" to mark the 100th anniversary of the Russian Revolution. RT's current on-air staff includes 25 people from RT News, 25 from RT America, and 8 from RT UK. Margarita Simonyan told Nikolaus von Twickel of The Moscow Times that RT started to grow once it became provocative and that controversy was vital to the channel. She said that RT's task was not to polish Moscow's reputation. Steve Bannon has stated that he has appeared on RT "probably 100 times or more". Critics regard RT as a propaganda outlet for the Russian government and its foreign policy. Pascal Bonnamour, the head of the European department of Reporters Without Borders, called the newly announced network "another step of the state to control information." Cliff Kincaid, the director of Accuracy in Media's Center for Investigative Journalism, called RT "the well-known disinformation outlet for Russian propaganda". In a 2005 interview with U.S. government-owned external broadcaster Voice of America, the Russian-Israeli blogger Anton Nosik said the creation of RT "smacks of Soviet-style propaganda campaigns." In 2009, Luke Harding (then Moscow correspondent for The Guardian) described RT's advertising campaign in the United Kingdom as an "ambitious attempt to create a new post-Soviet global propaganda empire." Former KGB officer turned political refugee, Konstantin Preobrazhensky, criticized RT as "a part of the Russian industry of misinformation and manipulation". RT presents itself as a liberal alternative in the United States, but in Europe it appears to have become the flagship of resurgent nationalist parties. In Russia, Andrey Illarionov, former advisor to Vladimir Putin, has called the channel "the best Russian propaganda machine targeted at the outside world". Media analyst Vasily Gatov wrote in a 2014 Moscow Times article that sharp ethical and reporting skills are not required for Russian media employees, including RT. Lithuania – Linas Antanas Linkevičius, Lithuania's Minister of Foreign Affairs, posted on Twitter on 9 March 2014 amid the Crimean crisis, "Russia Today propaganda machine is no less destructive than military marching in Crimea". Ukraine – RT has been banned in Ukraine since August 2014. In October 2017, Twitter banned both RT and Sputnik from advertising on their social networking service amid accusations of Russian interference in the 2016 United States elections, sparking an angry response from the Russian foreign ministry. In November 2017, Alphabet chairman Eric Schmidt announced that Google will be "deranking" stories from RT and Sputnik in response to allegations about election meddling by President Putin's government, provoking an accusation of censorship from both outlets. According to Lithuania's STRATCOM Colonel, "RT rarely takes a single, anti-Western media line on any given story. That would be too obvious. Instead, RT journalists present gaggles of competing and contradicting narratives which together create the impression that the truth is indecipherable". A 2013 article in Der Spiegel noted that RT "uses a chaotic mixture of conspiracy theories and crude propaganda", pointing to a program that "mutated" the Boston Marathon bombings into a U.S. government conspiracy. The launch of RT UK was the subject of much comment in the British press. In The Observer, Nick Cohen accused the channel of spreading conspiracy theories and being a "prostitution of journalism" and in The Times, Oliver Kamm called on broadcast regulator Ofcom to act against this "den of deceivers". In 2015, Peter Pomerantsev in The Guardian accused RT of disinformation and of spreading conspiracy theories. Journalists at The Daily Beast and The Washington Post have noted that RT employs Tony Gosling, an exponent of long-discredited theories concerning the alleged control of the world by Illuminati and the Czarist antisemitic forgery The Protocols of the Elders of Zion. A report by RAND called the RT strategy "a firehose of falsehood", where fake stories are distributed in "high-volume and multichanneel, rapid, continuous, and repetitive" with no regard to consistency, where the high volume makes them difficult to counter. RT has been accused of being anti-Israel by Jewish and Israeli sources, describing its reporting as being unbalanced. Israeli foreign minister Avigdor Lieberman made a complaint to Putin at their official meeting in 2012. The New York Times op-ed columnist Nicholas Kristof commented on CNN's Piers Morgan Live about Wahl's and Martin's initial actions, "admire their outspokenness but, you know, at the end of the day, RT is a Russian propaganda arm, and I don't think its going to matter very much to the geopolitical consequences here." In January 2015, Ofcom found RT (and the BBC) not in breach of rules on generally accepted standards following a complaint about the use of graphic imagery of bodies at the MH17 crash site. A spokesperson for the media regulator said: "Ofcom found that RT broadcast content that was either materially misleading or not duly impartial. These are significant failings and we are therefore requiring RT to broadcast two clear statements on our decision which correct these failures." In October 2015, David J. Kramer, senior director for human rights and democracy at the McCain Institute for International Leadership, suggested that Western countries freeze RT's assets "not because of the odious things it spews" but as part of the Yukos shareholder case. On 13 November 2017, RT America officially registered as a "foreign agent" in the United States with the Department of Justice under the Foreign Agents Registration Act. Under the act, RT will be required to disclose financial information. 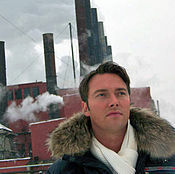 June 2007 – The 11th "Save and Preserve" International Environmental Television Festival awarded its Grand Prix to RT's Meeting with Nature series. January 2009 – Silver World Medal from the New York Festivals, for Best News Documentary "A city of desolate mothers"
August 2010 – First nomination for an International Emmy Award in News category for its coverage of president Barack Obama's trip to Russia. August 2012 – Second nomination for an International Emmy Award for its coverage of the international Occupy Wall Street movement. August 2014 – Third nomination for an International Emmy Award for its coverage of the Guantanamo Bay hunger strikes. August 2016 – Fourth nomination for an International Emmy Award for its coverage of the 70th anniversary session of the United Nations General Assembly. 1.^ Stephen Heyman estimated that more than $100 million had been spent on the station as of May 2008. ^ a b "Contact info". RT International. Retrieved 14 April 2017. ^ a b c d e f "About RT (formerly corporate profile)". RT International. Retrieved 14 April 2017. ^ Nimmo, Ben. "Question That: RT's Military Mission". Atlantic Council-Digital Forensic Research Lab. medium.com. Retrieved 13 March 2018. ^ Fisher, Max (13 June 2013). "In case you weren't clear on Russia Today's relationship to Moscow, Putin clears it up". Washington Post. Retrieved 31 July 2016. ^ a b c d e f Nikolaus von Twickel, Russia Today courts viewers with controversy, The Moscow Times, 23 March 2010. ^ Valery Kodachigov. "Вести с эфирного фронта" [News from the air front] (in Russian). Com News.ru. ^ "Archive of the official site of the 2008-2012 Prime Minister of the Russian Federation Vladimir Putin". Government of Russia. ^ "Правительство РФ приняло перечень системообразующих организаций" [The Russian government has adopted a list of backbone organizations]. RBK Group (in Russian). ^ a b c d e f g Julia Ioffe (September – October 2010). "What Is Russia Today?". Columbia Journalism Review. ^ a b c d Benjamin Bidder (13 August 2013). "Putin's Weapon in the War of Images". Spiegel Online. Retrieved 14 August 2013. ^ a b c d Luke Harding (18 December 2009). "Russia Today launches first UK ad blitz". The Guardian. London. ^ a b c Kramer, Andrew E (22 August 2010). "Russian Cable Station Plays to U.S." The New York Times. ^ "Ukraine hits back at Russian TV onslaught". BBC. 2014. ^ a b MacFarquhar, Neil (28 August 2016). "A Powerful Russian Weapon: The Spread of False Stories". The New York Times. Retrieved 29 August 2016. ^ Crowley, Michael (1 May 2014). "Putin's Russian Propaganda". TIME. ^ a b R.C. Campausen (10 January 2011), KGB TV to Air Show Hosted by Anti-war Marine Vet, Accuracy in Media, retrieved 5 April 2011 . ^ a b c John Plunkett (18 July 2014). "Russia Today reporter resigns in protest at MH17 coverage". The Guardian. Retrieved 18 July 2014. ^ a b Brian Stelter (24 March 2014). "Putin TV in Chaos". CNN. ^ a b Gray, Rosie (13 March 2014). "How the Truth is Made at Russia Today". BuzzFeed. ^ William Turvill (15 November 2012). "Ofcom rules against Russia Today over Syria conflict report". Press Gazette. Progressive Media International. Retrieved 23 January 2016. ^ a b c "UK regulator Ofcom backs BBC in Russian TV case". BBC News. 21 September 2015. Retrieved 23 January 2016. ^ a b John Plunkett (10 November 2014). "Russia Today threatened with Ofcom sanctions due to bias". The Guardian. Retrieved 23 January 2016. ^ Chappell, Bill (14 November 2017). "TV Company Linked To Russia's RT America Registers As Foreign Agent In U.S." NPR. Retrieved 3 March 2018. ^ a b Julian Evans, Spinning Russia, Foreign Policy, 1 December 2005. ^ a b c Andrew Osborn, Russia's 'CNN' wants to tell it like it is, The Age, 16 August 2005. ^ "Russia: New International Channel Ready To Begin Broadcasting". Radio Free Europe/Radio Liberty. 9 December 2005. ^ a b c RIA Novosti Does Not Control RT Television – Russian Media Experts, RIA Novosti, 6 February 2012. ^ "Russia Today TV to make unique contribution to global information - German expert". Sputnik News. 6 July 2005. ^ RIA Novosti launches a TV channel, Russia Today, RIA Novosti, 7 June 2005. ^ a b c d e Stephen Heyman, A Voice of Mother Russia, in English, The New York Times, 18 May 2008. ^ Danny Schechter interview on RT website. ^ a b c Shaun Walker, Russia Today, Tomorrow the World, The Independent, 20 September 2010. ^ a b James Painter (2007). "The boom in counter-hegemonic news channels: a case study of TeleSUR" (PDF). Reuters Institute for the Study of Journalism at Oxford University. Archived from the original (PDF) on 8 July 2007. ^ "Russia's landmark events of 2007". RT International. Retrieved 14 April 2017. ^ a b c d e Zagorodnov, Artem (25 September 2008). "Today's woman who needs to be heard". The Moscow Times. ^ a b Rowland, Kara (27 October 2008). "Russia Today: Youth served". The Washington Times. ^ a b c d e f g David Weigel, Pravda Will Set You Free; Russia's answer to Fox News and MSNBC., Slate, 27 June 2011. ^ Charles King, Clarity in the Caucasus?, Foreign Affairs, 11 October 2009. ^ a b c Douglas Lucas, Julian Assange prepares his next move, Salon, 23 February 2012. ^ a b Ian Burrell, From Russia with news, The Independent, 15 January 2010. ^ RT's Advertising Declared Ad of the Month in UK, RT.com website, 5 March 2010. ^ Josh Rogin, New BBG chief wants more money to combat "enemies" such as China and Russia, Foreign Policy, 5 October 2010. ^ Kirit Radia (2 March 2011). "Sec. of State Hillary Clinton: Al Jazeera is 'Real News', U.S. Losing 'Information War'". Political Punch. abcnews.go.com. Archived from the original on 1 October 2011. ^ Andy McSmith, Village People, The Independent, 5 March 2011 at Questia.com. ^ Ishaan Tharoor, Clinton Applauds Al Jazeera, Rolls Eyes at U.S. Media, Time, 3 March 2011. ^ a b Hirst, Tomas (3 January 2012). "Putin's Perverse Fear of Soft Power". Huffington Post. ^ a b Toohey, Nathan (8 February 2012). "RT and McFaul argue over Navalny's US education". The Moscow Times. ^ "McFaul and the Moscow opposition rallies". RT International. Retrieved 14 April 2017. ^ New US Ambassador to Russia starts with lies, Pravda, 2 February 2012. ^ "US ambassador says seeks reset, not revolution in Russia". RT International. Retrieved 14 April 2017. ^ 'US not funding Putin's presidential campaign', RT interview with Ambassador Michael McFaul. ^ a b c Alessandra Stanley, The Prisoner as Talk Show Host; Julian Assange Starts Talk Show on Russian TV, The New York Times, 17 April 2012. ^ "The World Tomorrow". WikiLeaks. 13 April 2012. Archived from the original on 13 April 2012. Retrieved 13 April 2012. ^ "Assange show premiere: Time to watch 'The World Tomorrow'". RT.com. 13 April 2012. Archived from the original on 13 April 2012. Retrieved 13 April 2012. ^ a b c Jerome Taylor, Hello, Good Evening and Welcome to My Country House Prison: Assange Makes His Talk Show Debut, The Independent, 18 April 2012. ^ Raphael Satter, Assange interviews Hezbollah leader in TV premiere, Associated Press via Denver Post, 17 April 2012. ^ Assange chats with terrorist, Agence France-Presse, 18 April 2012. ^ a b Mark Adomanis, Julian Assange's Debut on Russia Today - The Serious People Say it Was Really Bad!, Forbes, 18 April 2012. ^ "New Assange TV Series". wikileaks.org. 23 January 2012. Retrieved 12 February 2012. ^ Raphael Satter (17 April 2012). "Assange interviews Hezbollah leader in TV premiere". The Denver Post. Associated Press. Archived from the original on 10 September 2013. ^ David Meyer, Russia Today hit by DDoS as anti-Wikileaks group claims responsibility, ZDNet, 17 August 2012. ^ "Presidential Hopefuls Meet in Third Party Debate". PBS NewsHour. 25 October 2012. Archived from the original on 27 October 2012. Retrieved 26 October 2012. ^ RT to host final US presidential third-party debate, Published: 27 October 2012; Edited: 3 November 2012; note that the debate was postponed from 30 October because of Hurricane Sandy. ^ Paul Singer, Nader's third-party debate raises alternate issues, USA Today, 5 November 2012. ^ RT hosts third party debate #2: Tackling the issues the mainstream ignores, RT.com story and video of debate, 6 November 2012. ^ Dylan Byers, Larry King joins Russian channel RT, Politico, 29 May 2013. ^ RT America to broadcast Larry King's new political show, RT Press release, 29 May 2013. ^ "Politicking: Larry King talks NSA scandal fallout". RT International. Retrieved 14 April 2017. ^ Max Fisher, In case you weren’t clear on Russia Today's relationship to Moscow, Putin clears it up, Washington Post, 13 June 2013. ^ RT unveils dedicated news channel for UK, Rapid TV News, 30 October 2014. ^ Davis, Charles (1 February 2018). "This 'Grassroots' Media Startup Is Supported by the Kremlin". The Daily Beast. Retrieved 12 August 2018. ^ "OKWONGA.COM » My new post, on Redfish and Russia Today". www.okwonga.com. Retrieved 12 August 2018. ^ "This Quirky New Viral Video Channel Is Funded By The Russian Government". BuzzFeed. Retrieved 19 October 2018. ^ Ma, Alexandra (18 February 2019). "Russia's RT attacks Facebook for suspending 4 viral news channels that broadcast Kremlin talking points to millennials". Business Insider Australia. Retrieved 19 February 2019. ^ "Facebook Blocks 'Wildly Popular' RT-Run Page". RadioFreeEurope/RadioLiberty. Retrieved 18 February 2019. ^ "Facebook unblocks RT-linked pages but makes them comply with rules 'no one else' has to follow". RT. 26 February 2019. Retrieved 28 February 2019. ^ Russia: Another Media-Management Change", IPR Strategic Business Information Database, 4 February 2003. Accessed 29 March 2010. ^ Russia Profile, accessed 29 March 2010. ^ Peter Finn, Russia Pumps Tens of Millions Into Burnishing Image AbroadThe Washington Post, 6 March 2008. ^ Russia Today TV to make unique contribution to global information - German expert, Ria Novosti, 7 June 2005. ^ New Concerns on Russia Media Freedom, Associated Press, via Highbeam, 19 May 2007. ^ a b Oliver Bullough "Inside Russia Today: counterweight to the mainstream media, or Putin's mouthpiece? ", New Statesman, 10 May 2013. ^ "RT BEGINS BROADCASTING IN HD WORLDWIDE FROM NEW, STATE OF THE ART STUDIO". RT International. Retrieved 14 April 2017. ^ "History". RT International. Retrieved 14 April 2017. ^ a b "Putin orders overhaul of top state news agency". RT. 9 December 2013. Retrieved 10 December 2013. ^ "RT editor Simonyan to head Kremlin-backed news agency". BBC News. 31 December 2013. Retrieved 31 December 2013. ^ a b c d e Marcin Maczka, The Propaganda Machine, New Eastern Europe website, 9 July 2012, originally published in New Eastern Europe: New Europe, Old Problems No. 3 (IV), 2012. ^ "Putin forbids funding cuts to state-run media outlets — Gazeta. Ru - English news blog". Gazeta.Ru. Archived from the original on 2 November 2012. ^ a b Chris Dziadul (8 April 2015). "RT tightens its belt". Broadband TV News. Retrieved 30 January 2016. ^ Tétrault-Farber, Gabrielle (23 September 2014). "Looking West, Russia Beefs Up Spending on Global Media Giants". Moscow Times. Retrieved 13 May 2018. ^ a b Shuster, Simon (16 March 2015). "Inside Putin's on-air machine". TIME. pp. 44–51. Retrieved 12 April 2015. ^ a b c d e Stephen Ennis (16 September 2015). "Russia in 'information war' with West to win hearts and minds". BBC. Retrieved 19 January 2016. ^ Moscow Times (11 October 2015). "Russia Cuts State Spending on RT News Network". Moscow Times. Retrieved 30 January 2016. ^ "Distribution". RT International. Retrieved 14 April 2017. ^ Fred Weir, Russia gives WikiLeaks' Julian Assange a TV platform, The Christian Science Monitor, 25 January 2012. ^ "برامج القناة". RT Arabic (in Arabic). Retrieved 14 April 2017. ^ "Quiénes somos". RT en Español (in Spanish). Retrieved 14 April 2017. ^ "Russia's RT America registers as 'foreign agent' in U.S." Reuters. 13 November 2017. Retrieved 13 November 2017. ^ "RT launches dedicated UK news channel – RT UK". RT International. Retrieved 14 April 2017. ^ "RTД – your guide to the depths of Russia". RT International. Retrieved 14 April 2017. ^ "RRsat Signs Contract With Russia Today For Global Distribution Of RT HD Channels". prnewswire.com. 7 September 2012. Retrieved 25 September 2015. ^ Russia Today and Rusiya Al-yaum join Yahlive's high definition bouquet, Al Yah Satellite Communications, AMEinfo.com. ^ "Putin: RT en español emitirá su señal en abierto en Argentina 24 al día" (in Spanish). Actualidad RT. 12 July 2014. Retrieved 12 July 2014. ^ Bosoer, Fabián; Finchelstein, Federico (21 October 2014). "Russia Today, Argentina Tomorrow". New York Times. Retrieved 23 October 2014. ^ "Argentina Announces Suspension Of Russia's RT TV Broadcasts". Radio Free Europe/Radio Liberty. Retrieved 12 June 2016. ^ Knox, David (16 February 2015). "Foxtel adds Russia Today channel". TV Tonight. Retrieved 16 February 2015. ^ a b c d e Zavaski, Katie (17 September 2015). "Putin's Propaganda TV Lies About its Popularity". Retrieved 17 September 2015. ^ Foreign News Channels Drawing U.S. Viewers – IPS. Ipsnews.net. Retrieved on 7 December 2011. ^ a b 'Russia Today' Doubles its U.S. Audience, Russia Briefing News, 7 June 2012. ^ Laughlin, Andrew, 14 January 2013 "RT Russian news channel goes HD on Sky", Digital Spy, retrieved 13 December 2013. ^ a b Smith, Patrick (17 November 2014). "Everything You Need To Know About Russia Today UK". BuzzFeed. ^ Ennis, Stephen (4 November 2014). "Kremlin's UK TV fails to match ambitions". BBC News. ^ "Monthly viewing summary | BARB". www.barb.co.uk. Retrieved 24 April 2016. ^ "YouTube Video Creation–A Shared Process". journalism.org. Pew Research Center. 16 July 2012. Retrieved 23 January 2016. ^ O'Sullivan, John (6 December 2014). "The difference between real journalism and Russia Today". The Spectator. Retrieved 18 March 2015. ^ "Putin's Propaganda TV Lies About Its Popularity". The Daily Beast. Retrieved 6 August 2016. ^ "If Russia Today is Moscow's propaganda arm, it's not very good at its job". Washington Post. Retrieved 13 April 2017. ^ "Exposing Daily Beast propaganda: 10 RT political virals the YouTube MSM can only dream of". RT International. Retrieved 13 April 2017. ^ "Fact check for dummies: Teaching Washington Post & Co how to do journalism one last time". RT International. Retrieved 13 April 2017. ^ Heidi Brown, Springtime (For Putin) In Russia, Forbes, 27 February 2008. ^ Tracy Quan (3 July 2012). "I Love the Julian Assange Show!". The Daily Beast. Retrieved 1 November 2012. ^ a b c d e f g Zwick, Jesse (14 March 2012). "Pravda Lite". The New Republic. Retrieved 14 February 2017. .
^ a b Freed, Benjamin R. "Alyona Minkovski: She's Got It!". SOMA Magazine. 25 (4). Retrieved 15 December 2011. ^ RT America Launches New Show, Hosted by Former US Marine, Adam Kokesh, press release on Adam vs The Man web site, 4 April 2011. ^ "FINAL EPISODE: East Coast Quake, Libya Rebellion, You The Viewer, Teachers & Social Media, Net Neutrality, Media Blackout on Ron Paul?". RT. 25 August 2011. Archived from the original on 24 September 2011. ^ a b "Ron Paul booster's show cancelled after FEC complaint". Politico. 25 August 2011. ^ "KGB TV to Air Show Hosted by Anti-war Marine Vet". Accuracy in Media. 5 April 2011. ^ Glenn Greenwald interview on RT website. ^ Glenn Greenwald, Attacks on RT and Assange reveal much about the critics, Salon, 18 April 2012. ^ a b Sonia Scherr (1 August 2010). "Russian TV Channel Pushes 'Patriot' Conspiracy Theories". 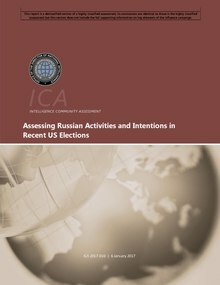 Intelligence Report, Southern Poverty Law Center. Retrieved 25 September 2015. ^ "RT Launches Project to Live-Tweet Russian Revolution 100 Years Later". IJR - Independent Journal Review. 28 February 2017. Retrieved 14 April 2017. ^ "Shows — RT". RT International. Retrieved 14 April 2017. ^ "On contact". RT International. ^ "Renegade Inc". RT International. ^ "Keiser Report". RT International. ^ "America's Lawyer". RT International. ^ "Going Underground". RT International. ^ "News Thing". RT International. ^ "Redacted Tonight". RT International. ^ "Watching the Hawks". RT International. ^ "Larry King Now". RT International. ^ "Sputnik Orbiting the World". RT International. ^ "Off the grid". RT International. ^ "Capital Account". RT International. ^ "Why you should care!". RT International. ^ "Breaking the Set". RT International. ^ "In Context". RT International. ^ "On the Money". RT International. ^ "Cypherpunks: Episode Eight, full version, pt.2 — Julian Assange". The Julian Assange Show on RT. ^ "Moscow Out". RT International. ^ "Adam vs. The Man". RT International. ^ "The Alyona Show". RT International. ^ "The Big Picture". RT International. ^ "News with Ed Schultz". RT International. ^ "On-Air Talent — RT". RT International. Retrieved 14 April 2017. ^ a b Tracy Quan (3 July 2012). "I Love the Julian Assange Show!". The Daily Beast. Retrieved 20 August 2012. ^ Syria's Assad denies civil war, blames the West, Los Angeles Times, 9 November 2012. ^ "Nigel Farage: I admire Vladimir Putin". The Guardian. 31 March 2014. Retrieved 26 September 2015. ^ a b Sousa, Ann De (26 January 2012). "News channel or propaganda tool?". Al-Jazeera. ^ "Russia Today Continues its Anti-Israel Propaganda, Going Even Further Than Arab TV". the algemeiner. Retrieved 26 May 2016. ^ Mezzofiore, Gianluca (24 March 2014). "RT Host Manuel Ochsenreiter Exposed as Neo-Nazi Editor". International Business Times. Retrieved 30 November 2014. ^ Tom Porter (16 August 2017). "Charlottesville's Alt-Right Leaders Have a Passion for Vladimir Putin". Newsweek. ^ Van Herpen, Marcel H. (1 October 2015). Putin's Propaganda Machine: Soft Power and Russian Foreign Policy. Rowman & Littlefield Publishers. p. 73. ISBN 978-1442253612. ^ Stone, Peter; Gordon, Greg (20 March 2017). "FBI's Russian-influence probe includes a look at Breitbart, InfoWars news sites". McClatchy DC Bureau. Retrieved 28 September 2018. ^ Kincaid, Cliff (22 August 2014). "Why Won't Putin Help Middle East Christians?". Accuracy in Media. ^ Michel, Casey (25 August 2015). "Putin's Magnificent Messaging Machine". Politico. Retrieved 23 January 2016. ^ Schreck, Carl (25 February 2015). "'Propaganda Bullhorn' Or 'Alternative Perspective'? U.S. Students Put Kremlin-Funded RT Under Microscope". Radio Free Europe/Radio Liberty. Retrieved 23 January 2016. ^ "RT Watch Blog". 2015. Retrieved 23 January 2016. ^ "New Global TV Venture to Promote Russia". VOANews. 6 July 2005. ^ Hilsman, Patrick. "Have you been watching Russian government propaganda?". The Seattle Globalist. Retrieved 8 December 2015. ^ Gatov, Vasily (1 July 2014). "Russian Journalism is Crippled by Its Cynicism". The Moscow Times. Retrieved 30 January 2016. ^ "Linas Linkevicius on Twitter". Twitter. ^ Balluck, Kyle (12 September 2017). "Russian network RT must register as foreign agent in US". TheHill. Retrieved 12 September 2017. ^ "Secretary Kerry on Ukraine" (Press release). CSPAN. 24 April 2014. ^ "Emmanuel Macron's campaign team bans Russian news outlets from events". The Guardian. Reuters. 27 April 2017. Retrieved 9 May 2017. ^ "Welcome to The Machine: Inside the Secretive World of RT". Retrieved 26 June 2017. ^ "John McDonnell urges Labour MPs to stop appearing on Russia Today". BBC News. 11 March 2018. Retrieved 11 March 2018. ^ The Christian Science Monitor. "Russian bid to counter Western criticism". The Christian Science Monitor. ^ Kirchick, James (18 February 2009). "Pravda on the Potomac (page 2)". The New Republic. ^ Walker, Shaun (26 January 2012). "Assange takes chat-show job with state-funded Russian TV". The Independent. ^ "Meet the Colonel in Charge of Countering Russian Propaganda in Lithuania". Vice News. Retrieved 5 July 2016. ^ Ennis, Stephen (16 November 2014). "Russia's global media operation under the spotlight". BBC News. ^ Pomerantsev, Peter (9 April 2015). "Inside the Kremlin's hall of mirrors". The Guardian. Retrieved 15 April 2015. ^ Holland, Adam (8 July 2015). "Russia Today Has an Illuminati Correspondent. Really". Daily Beast. Retrieved 9 July 2015. ^ Drezner, Daniel W. (13 March 2015). "Confessions of an American Illuminati". The Washington Post. Retrieved 25 September 2015. ^ "Inside RT's world of alternative news". EU vs DISINFORMATION. 13 April 2017. Retrieved 23 May 2018. ^ "Everyone Against Russia: Conspiracy Theories on the Rise In Russian Media". EU vs DISINFORMATION. 22 May 2018. Retrieved 23 May 2018. ^ "A Powerful Russian Weapon: The Spread of False Stories". The New York Times. 28 August 2016. ISSN 0362-4331. Retrieved 24 May 2018. ^ Timberg, Craig (24 November 2016). "Russian propaganda effort helped spread 'fake news' during election, experts say". Washington Post. ISSN 0190-8286. Retrieved 24 May 2018. ^ "Is Russia Today a legitimate fact-checker? We did the math". Poynter. Retrieved 24 May 2018. ^ Barak Ravid (31 July 2012). "Lieberman complained to Putin over Russian TV's 'anti-Israel' reporting". Haaretz. Retrieved 8 October 2013. ^ Rachel Hirshfeld (4 February 2013). "Russia Today Accuses Israel of Using 'Hitler Methods'". Retrieved 8 October 2013. 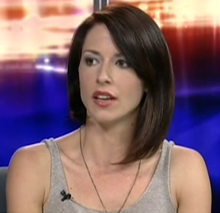 ^ "Bizarre: Russia Today Host Abby Martin Lashes Out at The Algemeiner". 25 November 2012. Retrieved 8 October 2013. ^ Lakkana Nanayakkara (22 November 2012). "Russia Today Continues its Anti-Israel Propaganda, Going Even Further Than Arab TV". The Algemeiner. Retrieved 8 October 2013. ^ William Dunbar (20 September 2010). "They forced me out for telling the truth about Georgia". The Independent. ^ Nick Holdsworth (12 August 2008). "Russia claims media bias; Foreign minister blasts coverage of conflict". Variety. ^ "Death toll in South Ossetia reaches 2,000". Russia Today. 10 August 2008. Archived from the original on 2 December 2009. ^ Tom Parfitt (13 August 2008). "Russia exaggerating South Ossetian death toll, says human rights group". The Guardian. ^ a b Liz Wahl, I Was Putin's Pawn, Politico magazine, 21 March 2014. ^ Ofcom Broadcast Bulletin - Syrian news coverage, 5 November 2012, pp 15-27. ^ Ofcom Broadcast Bulletin - Graphic footage, 4 November 2013, pp 14-17. ^ Ofcom Broadcast Bulletin - Syrian Diary, 16 December 2013, pp 6-25. ^ Greg Botelho, CNN (5 March 2014). "State-funded news anchor Abby Martin: 'What Russia did is wrong' - CNN.com". CNN. ^ "Ukraine conflict perspectives and Washington's shadow lobbyists". RT International. Retrieved 14 April 2017. ^ "RT reacts to anchor Liz Wahl quitting on air". RT International. Retrieved 14 April 2017. ^ Piers Morgan (5 March 2014). New Cold War?. CNN. ^ Bloomfield, Steve (24 April 2014). "Ofcom should be looking again at Putin's TV news channel". The Guardian. ^ a b Alex Altman (21 July 2014). "Russian Television Under Spotlight After Malaysia Airlines Crash in Ukraine". TIME. Retrieved 23 January 2016. ^ Kemp, Stuart (5 January 2015). "BBC News and RT cleared over coverage of shooting down of flight MH17". The Guardian. Retrieved 14 February 2015. ^ "EU vs Disinformation website". Retrieved 3 March 2017. ^ "Ofcom Broadcast Bulletin" (PDF) (288). Ofcom. 21 September 2015. Retrieved 23 January 2016. ^ Burrell, Ian (21 September 2015). "Broadcaster RT misled viewers and breached broadcasting rules, says Ofcom". The Independent. Retrieved 27 November 2018. ^ Jackson, Jasper (21 September 2015). "RT sanctioned by Ofcom over series of misleading and biased articles". The Guardian. Retrieved 23 January 2016. ^ Kramer, David J. (23 October 2015). "The West should take on the Putin P.R. machine". The Washington Post. Retrieved 14 January 2016. ^ Plunkett, John (4 July 2016). "Russia-backed channel RT censured for lack of impartiality in Turkish coverage". The Guardian. Retrieved 1 March 2017. ^ "Ofcom Broadcast Bulletin" (PDF) (308). Ofcom. 4 July 2016. pp. 5–30. Retrieved 1 March 2017. ^ "Russian propaganda effort helped spread 'fake news' during election, experts say". Washington Post. Retrieved 14 April 2017. ^ Taibbi, Matt (28 November 2016). "The 'Washington Post' 'Blacklist' Story Is Shameful and Disgusting". Rolling Stone. ^ Williams, Christopher (7 February 2017). "Media watchdog calls in Kremlin-backed news channel RT over impartiality breach on Nato". The Telegraph. Retrieved 1 March 2017. ^ "Ofcom Broadcast Bulletin" (PDF) (319). Ofcom. 19 December 2016. pp. 18–26. Retrieved 1 March 2017. ^ a b Spangler, Todd (19 January 2017). "Facebook Restores Kremlin-Funded RT Posting Privileges After Temporary Block". Variety. Retrieved 21 January 2017. ^ Wong, Julia Carrie (20 January 2017). "Russia threatens retaliation over Facebook 'censorship' of RT". The Guardian. Retrieved 20 January 2017. ^ "Russia considering US media restrictions as retaliation". Retrieved 10 October 2017. ^ "Russian network RT must register as foreign agent in US". The Hill. Retrieved 12 October 2017. ^ "Russia's RT America registers as 'foreign agent' in U.S." Reuters. 13 November 2017. ^ "Russian news channel RT broke TV impartiality rules, Ofcom says". BBC News Online. 20 December 2018. Retrieved 20 December 2018. ^ "Евразийская Академия Телевидения и Радио. Официальный сайт". eatr.ru. ^ "А ТЭФИ здесь тихие". ^ "2009 Television Programming and Promotion Awards" (PDF). Retrieved 18 March 2015. ^ "2010 International Emmy® Awards News & Current Affairs Nominees Announced". International Emmy Awards. 11 August 2010. Retrieved 5 November 2012. ^ "RT BECOMES FIRST EVER RUSSIAN TV CHANNEL TO GET EMMY NEWS NOMINATION". RT International. Retrieved 14 April 2017. ^ "2012 International Emmy® Awards News & Current Affairs Nominees Announced". International Emmy Awards. 21 August 2012. Retrieved 5 November 2012. ^ "RT'S OWS COVERAGE BRINGS SECOND EMMY NOMINATION". RT International. Retrieved 14 April 2017. ^ "2014 INTERNATIONAL EMMY® AWARDS CURRENT AFFAIRS & NEWS NOMINEES ANNOUNCED". International Academy of Television Arts & Sciences. Retrieved 14 April 2017. ^ "RT SCORES THIRD EMMY NOMINATION FOR NEWS". RT International. Retrieved 14 April 2017. ^ "2016 INTERNATIONAL EMMY® AWARDS NOMINEES FOR NEWS & CURRENT AFFAIRS ANNOUNCED". International Academy of Television Arts & Sciences. Retrieved 14 April 2017. ^ "RT – FOUR-TIME INTERNATIONAL EMMY FINALIST". RT International. Retrieved 14 April 2017. Wikimedia Commons has media related to Russia Today. This page was last edited on 20 April 2019, at 16:33 (UTC).